This post may contain Amazon affiliate links that earn me a tiny commission. In the health world, smoothies can be your worst enemy or your best friend. At least, as far as getting the nutrients you need! Too much fruit or juice, and you can spike your blood sugar and end up with some serious energy crashes later in the day. Not enough fat, protein, vitamins and minerals and you can end up with a pretty filling snack that is taking up space that could be better used by more nutritious foods. 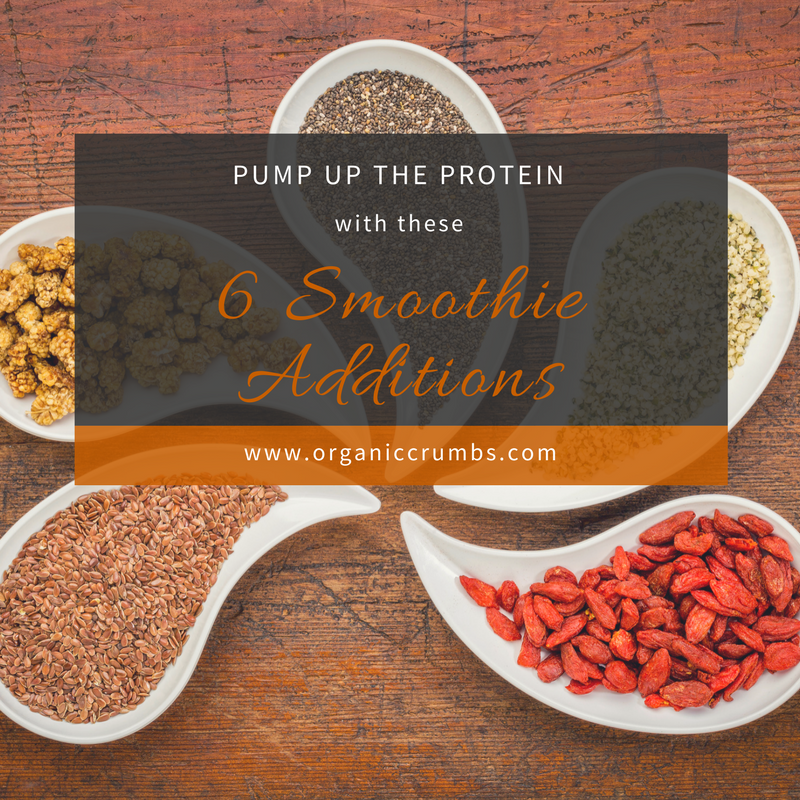 While this list is far from conclusive, these 6 ingredients can help to boost the overall nutritional value of your smoothies, as well as take your snack to meal level! The best part? These can be used as part of a paleo, vegetarian, vegan, gluten free, or even omnivorous diet plan! Adding a high quality protein powder takes your smoothie to the next level in nutrition. Not only can you use it as a meal replacement in a pinch, you are getting amino acids (which help build the muscles in your body), vitamins and minerals, and protein that many women are generally under-eating. Picking a powder: Stay away from soy, casein and most whey based powders (I only recommend grass fed! ), and check ingredients on others. Green powders can be great also. 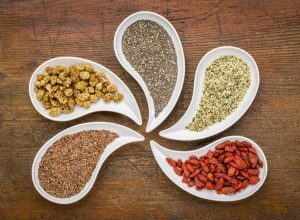 Some of the plant based powders come with grains that can be an issue if you have certain auto-immune issues. Small but mighty, the chia seed is packed full of beneficial nutrients. Just one ounce contains over 11 grams of fiber, nearly 6 grams of protein, and varying amounts of calcium, phosphorus, manganese, potassium and copper. Chia is also a great source of Omega-3’s, those fatty acids that we all need more of! Benefits include digestive support, energy increase, metabolic boost, and reduction of heart disease risk, just to start. They can be eaten raw or cooked, but are best soaked or added to liquids before consumption. Yep, hemp, as in cannabis, as in mary jane, as in marijuana. However, the seeds contain negligible amounts of THC (the stuff that gives you the munchies), but loads of health benefits. They are technically a nut, often referred to as hemp hearts, and have a mildly nutty flavor. As such, they contain quite a lovely array of fatty acids that are essential for immune function in the body. Additionally, they have an impressive amount of protein; about 2-3 tbsp is a whopping 11 grams! Even better, they are considered a complete protein, containing all the essential amino acids, something exceedingly rare in the plant kingdom. Benefits can include reduced inflammation, reduced risk of heart disease, increased skin health, and improved digestion. My favorite Hemp seeds are these. While not the best for folks with autoimmune issues, spirulina, an algae, is a super boost of nutrients and a great source of protein. Its benefits include detoxing heavy metals, anti-inflammatory, blood sugar balancing, and digestive support (due to the vitamins and minerals!). Be sure to buy organic, as spirulina will contain the toxins from the water sources in which it grows. Best to buy in powder form for smoothies, and hide it well. Find it here. 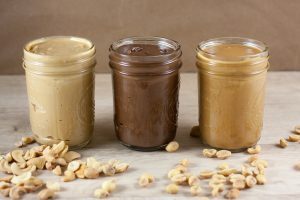 Depending on what you can tolerate, nut butters are a great source of protein and often a delicious treat in smoothies. Just 1 tbsp of most nuts have around 3 grams of protein, some fiber, and a lovely amount of Omega 3 fatty acids. These healthy fats can decrease cardiovascular and type 2 Diabetes risk. Precautions: Nut allergies are a growing concern for both adults and children and can be very serious, even deadly. Please make sure there are no allergies before adding any amount to your smoothies. Dark leafy greens are full of fiber, vitamins, minerals and antioxidants, some of which haven’t even been discovered yet! 1 cup of cooked spinach has as much as 5.3 grams of protein. Kale isn’t too far behind! Some of the benefits include digestive support, immune support, lowering cardiovascular risk, helping build strong bones, and can even reduce cancer risk! Best smoothie additions: Organic spinach, kale, swiss chard, dark mixed greens, beet greens, or any other that you love! 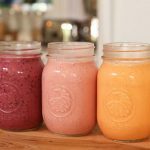 For more smoothie boosts click here. 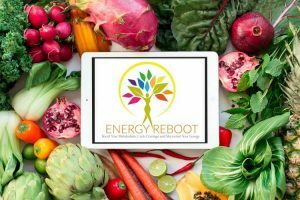 If you loved this, you might be interested in our New Year’s Energy Reboot! Click the link for more information and to join us before space runs out! A great green smoothie with a boost of superfood nutrition! Add all ingredients to blender and blend until smooth. Disclaimer: The information contained in this website is not intended to be a substitute for individualized medical advice from a medical provider. Although care has been taken in preparing the information provided to you, I cannot be held responsible for any errors or omissions, and I accept no liability whatsoever for any loss or damage you may incur. Always seek medical advice to your specific circumstances as needed for any and all questions and concerns you now have, or may have in the future. Sign up for free resources and stay on the list for new content.